We are in the hum drums of Winter. 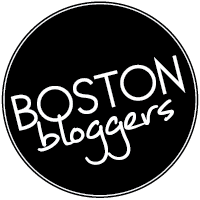 As an adopted New Englander, I find it’s best to not ignore the cruel months of January, February (March and April). Instead, I look to these cold, prolonged post-Christmas/New Year’s weeks to develop my personal soup collection. It’s that beautiful time of year you hate leaving your home, loath the commute to work and hunker down at night for some good old fashion soup makin’. I’ve grown to love soup over this past year. It’s a quick fix meal that can meet all your food group needs. Protein, carbohydrate, vegetables – check, check, check. Sure the slow cooker boasts the ‘set it and forget it’ mantra, but sometimes I like coming home and preparing a meal. That’s just me though, I am one of those ‘I find cooking relaxing and therapeutic’ people. For those of you who know me, please do not misconstrue the last statement to mean I wish to cook a ten course meal for you next week. Soup is marvelous. It is capable of packing a nutrition punch while at the same time hydrating you – what more do you want people? This time of year is perfect for digging out those dutch ovens and enjoying time in your stove-heated kitchen. Because let’s face it, none of us are making clam chowder come June. So put on an apron, start chopping those vegetables and let’s enjoy the wonderful world of soup again! Cook pasta according to directions. 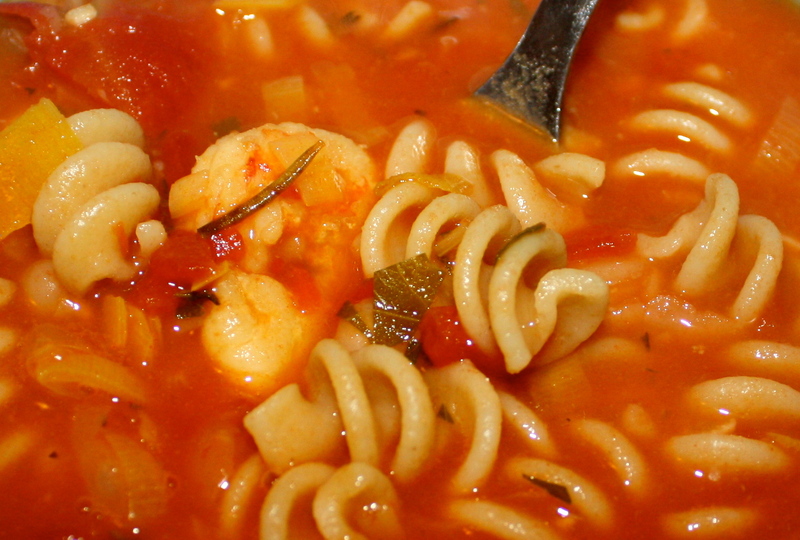 Reserve a few cups of pasta water during the draining process – this saved liquid may be used later to thin the soup. In a large (~6 quart) dutch oven pan, heat 2 tablespoons of olive oil over medium heat. Sauté leeks for 5 minutes. Once leeks have softened, add garlic and sauté for another 3 minutes. 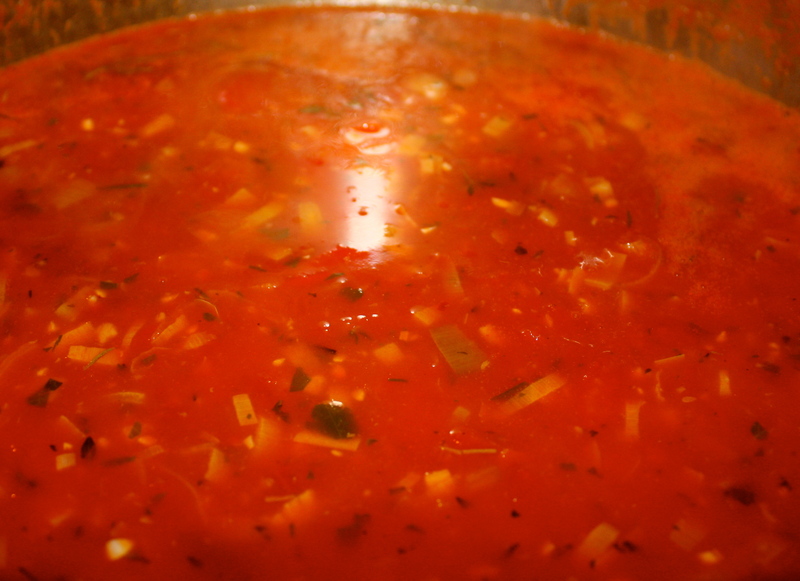 Once garlic is fragrant (not burned), add tomatoes, broth, herbs and whole beans. Bring to boil, reduce heat and simmer covered for 10 minutes. Meanwhile, in a large non-stick skillet, heat 1 tablespoon of olive oil over medium-high heat. Add shrimp, sauté until pink. Add white wine and simmer for an additional 3-5 minutes until wine reduces. *(Shrimp 2) Set aside. After the 10-minute simmer of the broth mixture, add shrimp with any liquid still left in pan, mashed kidney beans, and cooked pasta. Return to simmer, stir in parmesan cheese and serve. If the soup is a little too thick, add some of the reserved pasta water at this time. I used about 1/2 cup of pasta water. Tomatoes: I purchased whole, peeled San Marzano tomatoes. I reserved all liquid and crushed them myself. Shrimp:(1)I purchased frozen Argentinian Red shrimp for their sweet lobster flavor and texture. 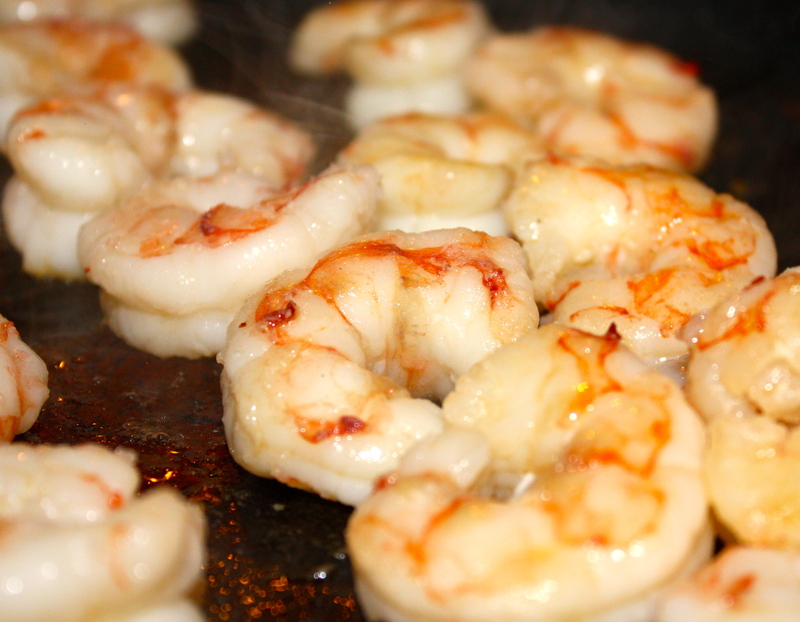 The type of shrimp does not matter all too much, but if you use frozen shrimp, be sure to thaw them prior to sautéing. I removed mine from their bag, placed in a bowl and ran them under cold running water for about 10 minutes. Be sure to place them on a paper towel after the thawing process to remove excess water. Shrimp:(2) Sauteing shrimp can be done prior to starting leaks.